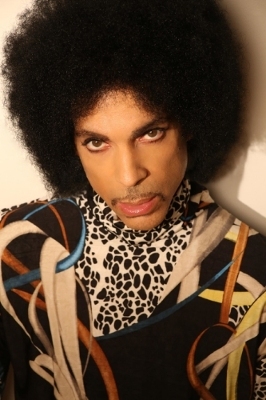 SANTA MONICA, Calif., Nov. 2, 2016 /PRNewswire/ — Universal Music Publishing Group (UMPG), a global leader in music publishing, today announced an agreement with the Estate of Prince Rogers Nelson to become, effective immediately, the exclusive worldwide publishing administrator for Prince’s entire song catalog. (NEW YORK, NY) – September 3, 2013 – RCA Records announced today that it has entered a long-term label deal with Gospel music icon Kirk Franklin to establish Fo Yo Soul Recordings, an inspirational music label which will showcase some of the genre’s most talented emerging artists and established performers. Los Angeles, CA – SERVING UP SOUL, hosted by Dorinda Clark-Cole, announces a major expansion of the radio show with Rejoice Radio Networks. Rejoice will provide programming, distribution, advertising sales, marketing and affiliate sales for the two hour weekly radio. SERVING UP SOUL is nationally syndicated and serves up a two hour weekly music and lifestyle show of non-stop inspiration, health tips, and showcases some of the best music ever! SongVest, the world’s first and only site to share a portion of or sell songs themselves as entertainment memorabilia, has announced their next auction with Larry Dunn and Earth, Wind & Fire. In addition to partial song royalty ownership, the winning bidder of Shining Star will have the opportunity to meet with Larry during a private recording session. To continue, please click “MORE”! NEW YORK, Oct. 11, 2011 /PRNewswire/ — Grooveshark has inked licensing deals with worldwide distribution network DashGo and indie label NuGroove Records. Grooveshark is eager to work alongside DashGo and NuGroove to build greater exposure for their talent roster. DashGo represents 115 labels including Delicious Vinyl and Time Records; More than 4,500 bands like Coconut Records and Rock Mafia; and over 50,000 tracks come from DashGo. Known for their “edgy,” soulful hits, NuGroove is recognized for their format bending “Down to the Bone,” which has produced top jazz acts such as contemporary icons Michael Lington and Bob Baldwin. To continue, please click “MORE”! music company. To continue, please click “MORE”!